This book is a study of political exile and transnational activism in the late-Victorian period. 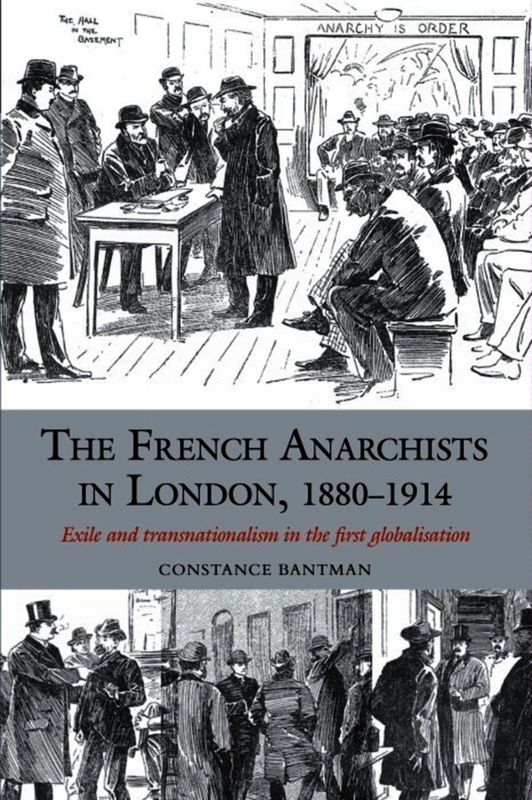 It explores the history of about 500 French-speaking anarchists who lived in exile in London between 1880 and 1914, with a close focus on the 1890s, when their presence peaked. These individuals sought to escape intense repression in France, at a time when anarchist-inspired terrorism swept over the Western world. Until the 1905 Aliens Act, Britain was the exception in maintaining a liberal approach to the containment of anarchism and terrorism; it was therefore the choice destination of international exiled anarchists, just as it had been for previous generations of revolutionary exiles throughout the nineteenth century. These French groups in London played a strategic role in the reinvention of anarchism at a time of crisis, but also triggered intense moral panic in France, Britain and beyond. This study retraces the lives of these largely unknown individuals – how they struggled to get by in the great late-Victorian metropolis, their social and political interactions among themselves, with other exiled groups and their host society. The myths surrounding their rumoured terrorist activities are examined, as well as the constant overt and covert surveillance which French and British intelligence services kept over them. The debates surrounding the controversial asylum granted to international anarchists, and especially the French, are presented, showing their role in the redefinition of British liberalism. The political legacy of these ‘London years’ is also analysed, since exile contributed to the formation of small but efficient transnational networks, which were pivotal to the development and international dissemination of syndicalism and, less successfully, to anti-war propaganda in the run up to 1914. 1. Based on in-depth archival research – 7 centres visited, 3 languages read, over a period of 5 years. 2. Adopts a transnational angle, underpinned by a strong knowledge of contemporary debates. 3. Contemporary relevance, through the themes of transnational terrorism, alterglobalisation protest and French immigration into the UK. 4. It is an exciting study, offering an unusual take on life and politics in late-Victorian London. The study offers another crucial piece of the puzzle of the story of anarchist groups, their political exile and migration, and the fears they inspired in Britain and beyond. It will be of interest to those concerned with the history of anarchism and the history of late nineteenth- and early twentieth-century European immigration and asylum policies.